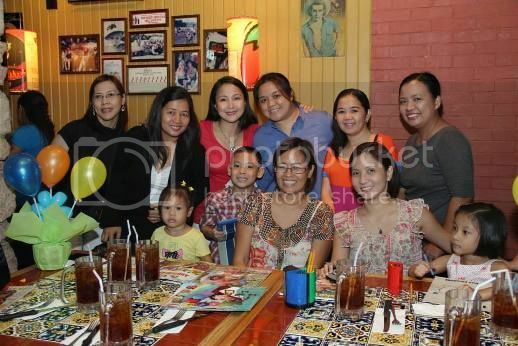 Last Thursday, my mom blogger friends and I attended a fun and exciting event at Chili’s Grill & Bar in Greenhills, San Juan. 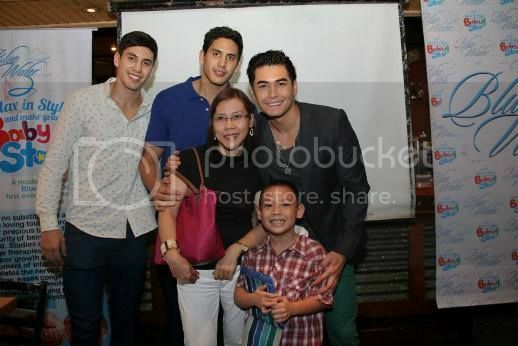 The event was hosted by Rikka Dylim and was graced by good-looking gentlemen Fabio Ide and the Semerad twins Anthony and David. 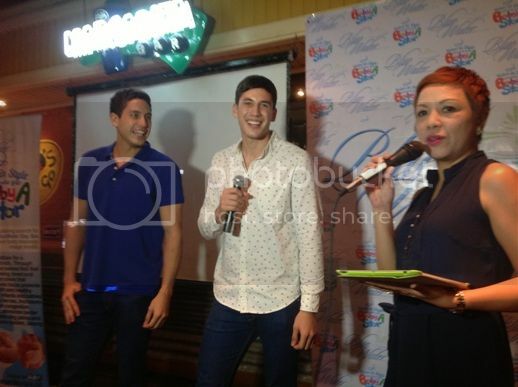 Fabio, Anthony and David joined the mommy bloggers in the parlor games and gamely posed on cam with the mommies for the much-awaited photo opps. If it’s relaxation and wellness you’re seeking, there’s no better place to be than BlueWater Day Spa. Their innovative and effective roster of wellness treatments cater to both men and women and now even babies. Yes, you heard that right! BlueWater Day Spa’s clients now include babies. With the launch of their signature Baby Massage Treatment, BlueWater Day Spa can now address the wellness needs even of infants and toddlers who, like adults, are also prone to stress caused by the environment and other outside factors. There’s no denying the fact that a parent’s touch is important to make babies feel loved and secure. Touching your child during the massage process strengthens the emotional bond between you and your child, plus it gives many health benefits to your precious little one. BlueWater Day Spa knows this all too well, and with their Soothing Baby Massage, you’ll have happier, healthier and more confident babies! To further promote the benefits of the Baby Massage Treatment and to thank parents who have availed of the treatment for their babies, BlueWater Day Spa is introducing their latest promotion, their first-ever search for BlueWater Baby Image Models. 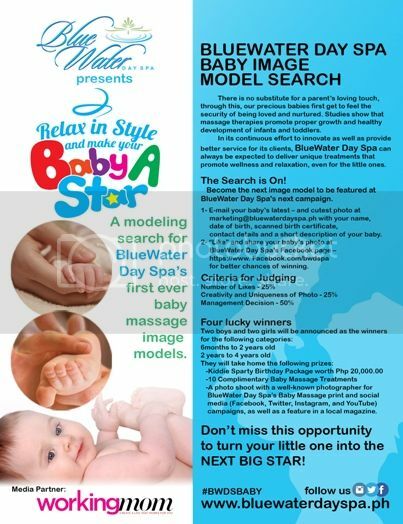 This is a modeling search for cute babies who will become BlueWater Day Spa’s image models for its signature Baby Massage. This contest will run from June 6 to August 8, 2013 and is open to all babies and toddlers aged 6 months to 2 years old (two winners: boy and girl) and 2 years old to 4 years old (two winners: boy & girl). • To be featured in a BlueWater Day Spa Ad Campaign for Baby Massage (online, print, in-store ad collaterals) with photo shoot. To learn more about BlueWater Day Spa’s latest promotion, visit their website www.bluewaterdayspa.ph and Facebook page BlueWater Day Spa. This entry was posted in Baby Image Model Search, BlueWater Day Spa, Chili's Grill & Bar, Relax in Style and Make Your Baby a Star. Bookmark the permalink. 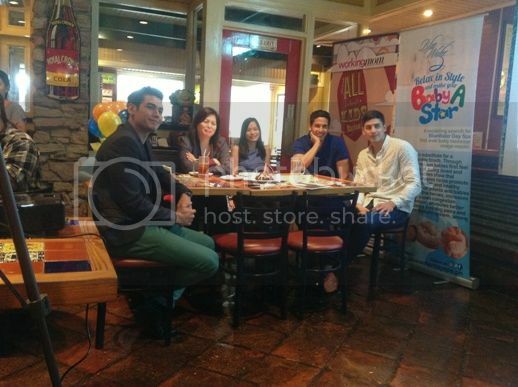 Sayang I wasn’t able to make it to that event. It looked like fun! ← A McCelebrations Party for Our Young Man!